In the early decades of space travel, women of color had to fight tooth and nail to get even the most menial jobs, and becoming an astronaut was almost out of the question — that is, until Dr. Mae Jemison paved the way in 1992. After Sally Ride became the first American woman to travel to space in 1983, making it clear that opportunities were finally opening up for female astronauts, Jemison applied to NASA’s astronaut program. After a year of training, the STS-47 mission of the space shuttle Endeavor took off with Jemison on board, and she made history as the first woman of color in space. 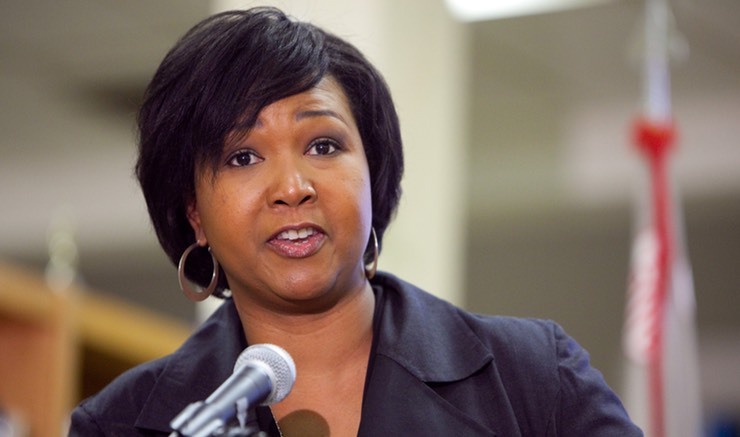 When it’s put so plainly, Jemison’s story appears uncomplicated: She decided she wanted to be an astronaut, so she made it happen. However, such simplification glosses over the obstacles facing women, and especially women of color, in science and technology fields — obstacles that women face even today. When Jemison was applying to be an astronaut in the late 1980s, gender diversity in STEM fields was even more dismal than it is today; in fact, NPR writes that the amount of women in computer science actually dropped in the 1980s. Additionally, Jemison was only the second person of color to become a NASA astronaut at all, preceded by just one man, Guion Bluford. Diversity in STEM fields has improved in the years since Jemison’s space flight, but not by much. Women are still painfully underrepresented in the sciences: We make up just 12 percent of the engineering workforce and 23 percent of computer science jobs, and the numbers are even worse for women of color. The lack of diversity in STEM fields has become so alarming that President Obama has even dedicated a branch of the White House to encouraging women in STEM.